The oil and gas industry poses some of the most challenging seal applications for any seal designer. This is largely due to the varying chemical compatibility of fluids, and extremely high temperatures. The fluids often contain solids, which tend to be extremely abrasive. And applications are usually at high rotary speeds with extreme pressures. This combination creates PV values (pressure x velocity) often reaching the limits of the seal materials. 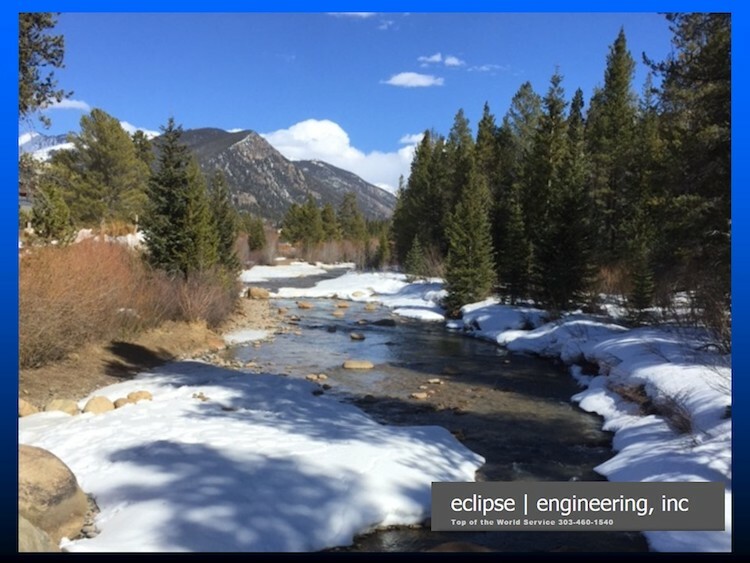 On top of these extremes, as seal designers we are also faced with containing fugitive emissions from valves and rotary equipment, in a very hostile environment like the oil field. That’s where the rising stem valve has provided numerous solutions in the oil and gas industry. The rising stem valve is an area that has seen a large development in the transition of seals over the years. Early seals were packing or rope packing which evolved into special grades of rope packing. Many older style valves continue to use this type, but require a tightening of the packing nut till, and an acceptable amount of leakage and friction were acquired. “V” packings have been used as drop in replacements for rope packing, which still utilizes the packing nut to energize the seal. This style was better able to control leakage, while reducing friction. A variety of different ring materials were used to curb the leakage, including Perfluoroelastomers to handle the various chemicals and rising temperatures. The need to prevent fugitive emissions also forced the oil and gas industry to consider a wider variety of ring materials and loading. These improvements enabled better control of the released gases. 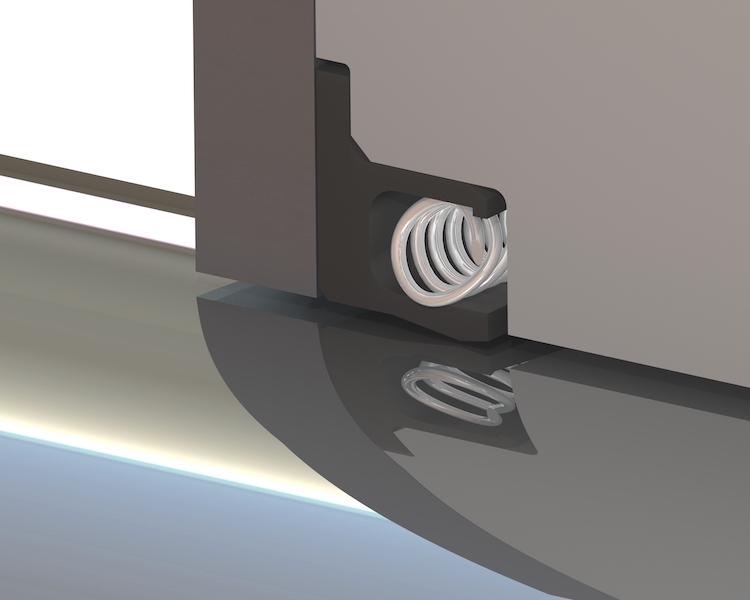 Spring energized seals gave way to better leakage control and lower friction. However, the condition of the packing gland often would not allow for this style of seal to perform. The spring energized seal needed a good clean sealing surface. It allowed for long use with no adjustment as no packing nut was required. This style of seal also could control fugitive emissions if the hardware was in good condition. 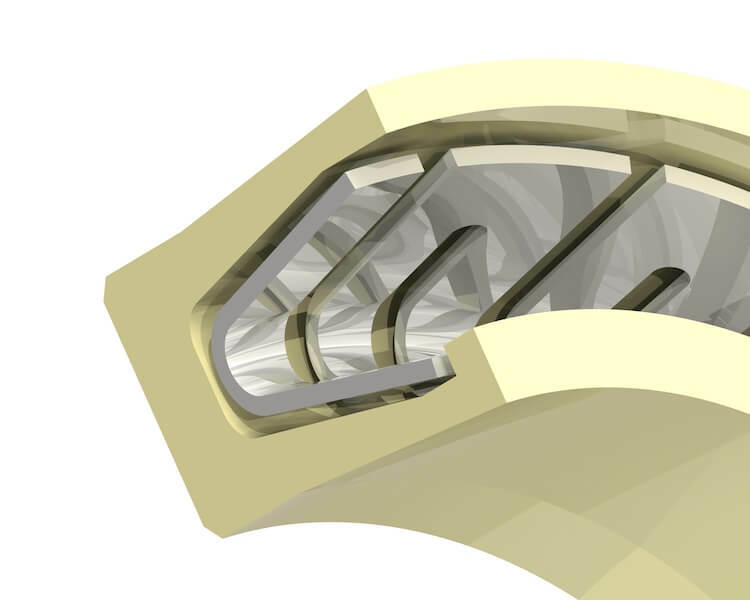 Due to extreme pressures and temperatures, these spring energized seals needed to have very thick cross sections so that they would not extrude under the rigors of the application which forced the seal designer to include a series of springs or multiple spring packs to help energize the Teflon lips. And while the Teflon type materials could easily handle the pressures and temperatures, the springs needed to be made of materials impervious to chemicals like Hydro-sulfuric acids or H2S. As seal designers, we turned to materials like Hastelloy and Elgiloy, which provided superior chemical resistance even in these chemically harsh environments. 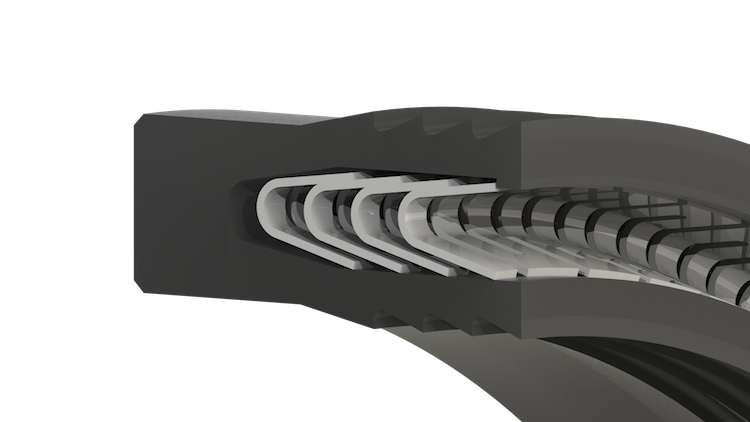 Once a cross section on a clean surface was established, the spring energized lip seal was capable of handling liquids and suspended solids and gas — While at the same time handling strict federal regulations for fugitive emissions. We were then able to do away with packing glands that required continuous monitoring for leakage and adjustment of the packing nut. We were also able to provide a sealing package that maintained a constant predictable friction, so activation with motor drives would be possible for remote activation of the valve. 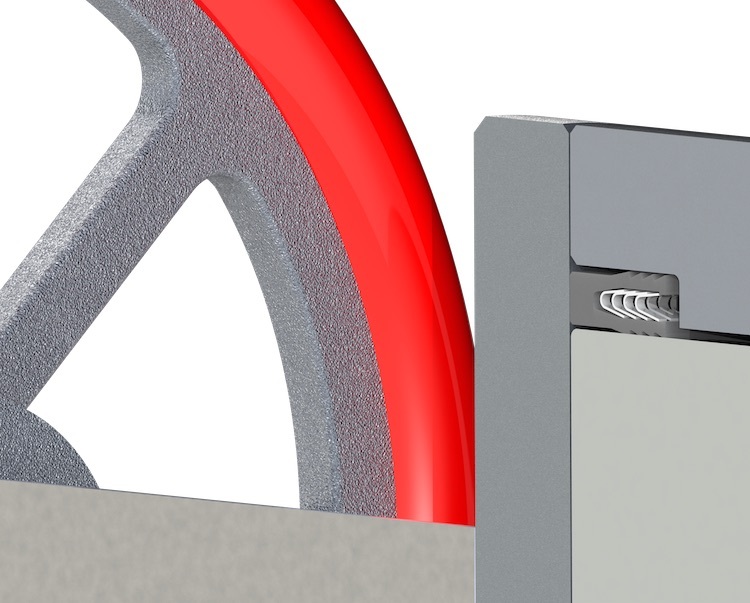 With the use of different fillers in the Teflon and a combination of back up ring devices, this style of seal was made to support even higher pressures and temperatures. The oil and gas industry has long been a user of materials like PEEK with glass transition temperatures in the high 400F range. While this has become somewhat of a standard, materials like Torlon and Polyimide allow the designer to reach even higher temperatures. With the use of high modulus materials such as Torlon or Polyimide, temperatures could exceed 600F and climb into the 800F or higher. This was due in part to the very high glass transition temperature of these materials. The rising stem valve seal is a very small portion of the oil and gas industry, but one very visible due to the stringent leakage requirements. We continue to see new and interesting opportunities to increase the sealing capability by use of some of these higher modulus materials.